Set in the 1930s, this poignant, funny, and utterly original novel tells the story of one lost girl's struggle for truth, identity, and understanding amidst her family's nomadic, unconventional lifestyle. What's the right way to behave, to think, to feel--if you're always the new girl? How do you navigate life when you're continually on the move? Do you lie? How do you even know if you're lying? What's the truth anyway? It's 1928 and nine-year-old Lucresse Briard is trying to make sense of life and the jumbled, often challenging family it's handed her: a single art-dealer father who thinks nothing of moving from place to place; her brother, Ben, who succeeds in any situation and seems destined for stardom; and their houseman, Fred, who acts like an old woman. As Lucresse advances through childhood to adolescence, she goes from telling wild lies for attention to desperately seeking the truth of who she is as a sophistication-craving teenager in the 1930s. 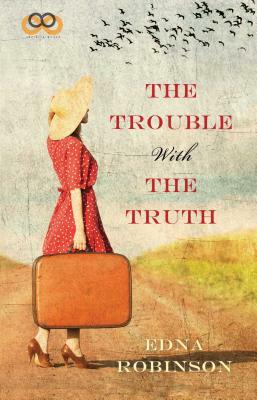 Told from Lucresse's perspective as a grown woman, The Trouble with the Truth transcends its time in the late 1920s and '30s, and weaves the story we all live of struggling to learn who we are and the truth behind this human journey.